So I got an iPad mini for Christmas. I have just recently begun to download books and essays from Amazon. As intervention is something I continue to figure out how to best plan for and utilize in my classroom, I realized I needed more resources. I'm currently reading this book and I love it. The format is easy to use and follow and you can flip back and forth. 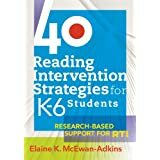 If you're looking for a book that will give you not only the instructional strategy but background knowledge on why it's useful (it's easy to share with parents) and sample lessons, this book is for you. I am now wishing they will develop one for math. Fingers crossed! 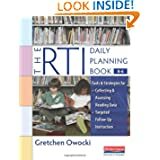 I'm reading this second because a)it's longer and b) it has to do with planning so I think it will be more beneficial when I have more free time to reflect on what worked best and what needed tweaking as far as RTI planning is concerned. I can tell you that I appreciate that this book has links so you can print out any forms you admire in the book. It's also home to some very handy "If...Then" menus so you can see what to do if a student needs help with a skill. The "If...Then" menus are so handy because not only do they show a plethora of strategies, but show if those strategies need to be delivered individually, small group, or whole group. 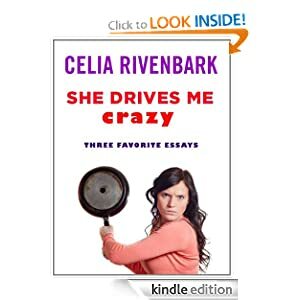 Because all work and no play makes me a drudge, this is on my iPad because a) I LOVE Celia Rivenbark, b) it was free and c) it's nice to open my Kindle app and not see all school related materials on my personal device. Which means even though the days are getting longer it's still nice to curl up with a good book by the fire. And I will happily take any suggestions you have-happy reading, folks!